TP40 BIOCEMET POWER LP® was developed with cold pressed oils, free from any solvents or oxidative heat. TP40 BIOCEMET POWER LP® is enriched with several Amazonian fats and oils. Derived from sustainable systems of the Amazonian rainforest and is completely traceable. It is an elaborate composition of MURUMURU, CUPUAÇU, BACABA, and PATAUA. In this case, the cuticle is tightly closed, which prevents creams and oils from penetrating the hair strand easily. This type of hair is more difficult to dry and does not have much elasticity, which is good. So TP40 BIOCEMET POWER LP® lubricates and fills up alterations in capillary relief. Avoid using products that contain proteins, which can make hair harder to handle. This is the ideal level for healthy hair. Hair fibers with normal or medium porosity allow the entry of nutrients in a balanced manner. The average porosity is a healthy sign of the hair fibers. The cuticles are attached and play their role of protecting the fibers, allowing enough water and nutrients to pass through. Hair fibers with high porosity are curly, ethnic, white, multiprocessing, discolored or frequently dyed. Chemistry is usually the biggest culprit. In these fibers, the cuticles are looser, “open”, brittle, worn. It is not uncommon for the fibers to lose this layer completely. For this reason, they become more opaque and easily entangled. 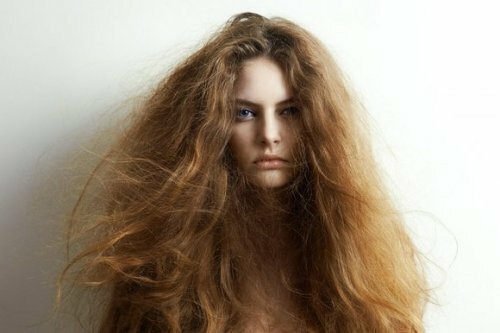 Frizz is also more common because the fiber is more exposed and absorbs water in greater quantity. For the hair to remain healthy looking, it is necessary to perform a capillary reconstruction using the TP40 BIOCEMET POWER LP® that can restore the intercellular cement and attach the cuticles. TP40 BIOCEMET POWER LP® has a restructuring action of the hair fiber allowing the emollience and adhesion of the cuticles and maintenance of the uniformity of the capillary relief, returning the shininess and softness of the fibers without cumulative effect that weighs the hair. All of this thanks to the powerful action of the fatty complexes and unsaponifiable fractions of TP40 BIOCEMET POWER LP®. Pataua oil is highly sourced for its natural ingredient due to its emollient and nutritional cosmetic properties. The oil is rich in omega-9, amino acids and unsaturated fats that act by lubricating, restructuring and cementing extremely damaged fiber regions. TP40 BIOCEMET POWER LP® is indicated for hair recovery with extreme damage.